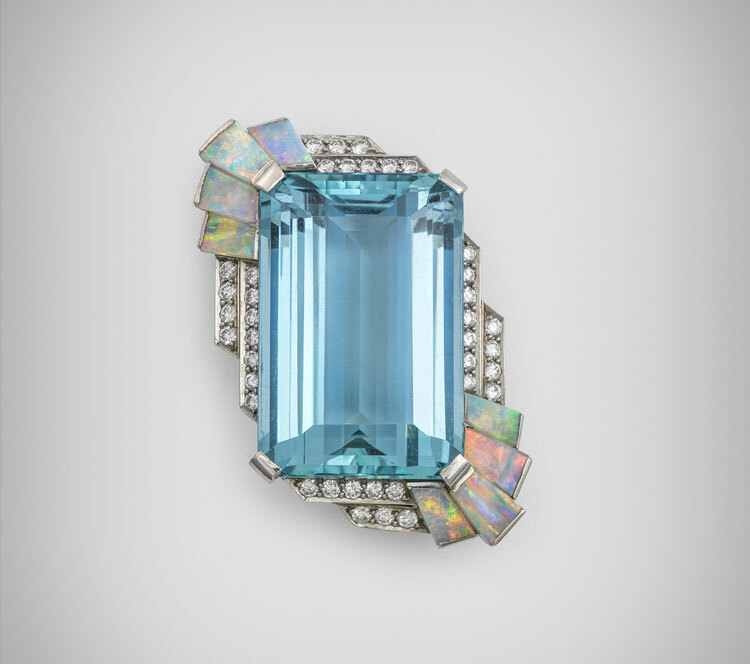 The combination of antique or period jewellery and gemstones forms the heart and soul of GemGenève. The two fields of expertise have always gone hand in hand through the centuries, from the early Silk Road merchants of Arabia, Persia and India to the 20th century jewellers and dealers in Amsterdam, Paris, Brussels, Antwerp and London. Antique jewellery is very often set with the finest gemstones from the great heritage mines of the world, Golconda, Kashmir, Mogok, Colombia, or with natural Oriental pearls from the Persian Gulf, so that traditionally antique dealers became gem experts, and gem dealers acquired fine stones from antique dealers. Both developed instincts, great expertise and a profound knowledge that still underpins today’s jewellery world. GemGenève highlights this long tradition, whilst nurturing new connections and fresh forward-looking creativity, fusing tradition and modernity.
. . . Trouvez . . . find. . . The Peacock Feather necklace, made by Boucheron, Paris, 1883, at Sandra Cronan, London. This masterpiece of French design and craftsmanship is one of the few “question-mark” necklaces that have become a celebrated Boucheron signature. The simple, streamlined diamond collar, open-fronted, with one end that curves into a sensual, asymmetric composition – creating the question-mark shape – looks as modern, and daringly dramatic today as it surely did in the 1880s. 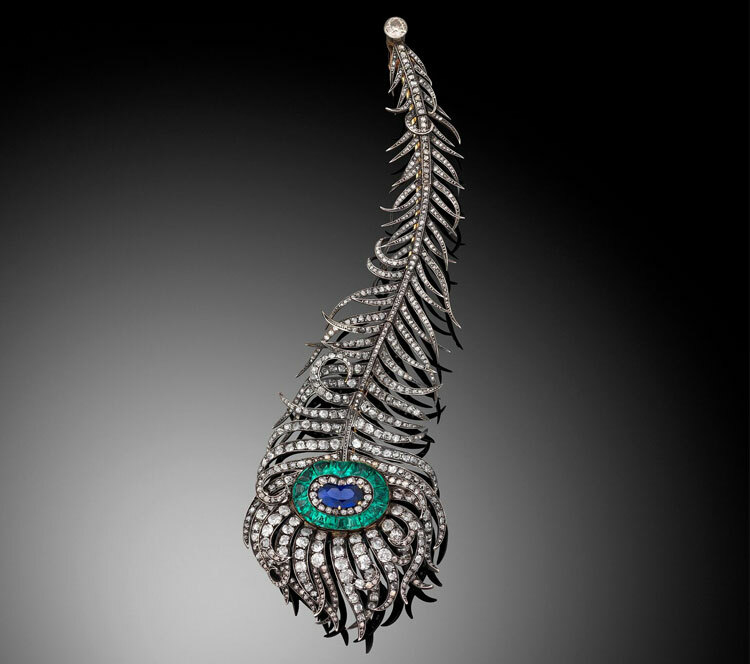 The wispy diamond peacock feather, detachable to form a brooch, has an “eye” of sapphire, rimmed with diamonds and emeralds. Exquisitely refined, light, flexible and naturalistic, the peacock feather emphasising the sensuality and movement of this evocative, emotive motif, creates both a contrast and perfect balance with the minimal, linear diamond collar. The necklace is thought to have been made for and purchased for 14,000 francs by Grand Duke Alexis of Russia for his wife, Alexandra Zhukovskaya, the illegitimate daughter of a Turkish slave.